Today, many Internet based businesses and other IT outlets are focusing their efforts on secure data destruction. Saving information on hard drives, hard disks, laptops, computers, tablets etc. is easy to accomplish, but has the major drawback that data can be hacked by intruders if not disposed of properly. Therefore, various enterprises are hiring specialised hard drive disposal service for this matter. Companies compete with one another based their research and sensitive data related to their core business. That is the reason they do not want their crucial information to slip into the wrong hands by any means. Picture students sitting an exam; the most prepared student will do the best. Companies letting their unique ideas get into the hands of competitors is like the student letting other students look over their shoulder and copy their answers. In order to be safe, organisations have to completely wipe all the data present on worn out hard disks. Following are some of the most common methods used for secure data destruction. Degaussing is the most frequent and reliable means of safe data disposal. A strong magnetic field is used to erase all the information present on hard drive immediately. This heavy magnetic field then renders the hard disk completely useless as it reverses its functionality for good. This means that degaussing achieves the thorough annihilation of the hard disk itself. This method is the most expensive one. It also has the drawback of being a complicated process and the possibility of human error related problems. There has to be a complete matchup between degausser and the hard disk that is being destroyed. That is why it cannot be applied to every kind of hard drive because of mismatches between the two. Having said that, Degaussing is still considered to be one of the most effective methods of secure data destruction. The utilisation of robust magnetic fields rendering hard disk completely wiped out has impressed many organisations. Even the NSA has approved the use of degaussing for the purpose of high security data wiping on magnetic media. The magnetic degaussers are measured in Oersted. This calculation shows that the higher the Oersted rating, the more influential the degausser is in its functionality. Disintegrators are used widely as data destruction tools in the IT recycling industry and secure data destruction for materials like metals. One example is the Datastroyer 105 Hard Drive that takes care of problems related to hard drives specifically. 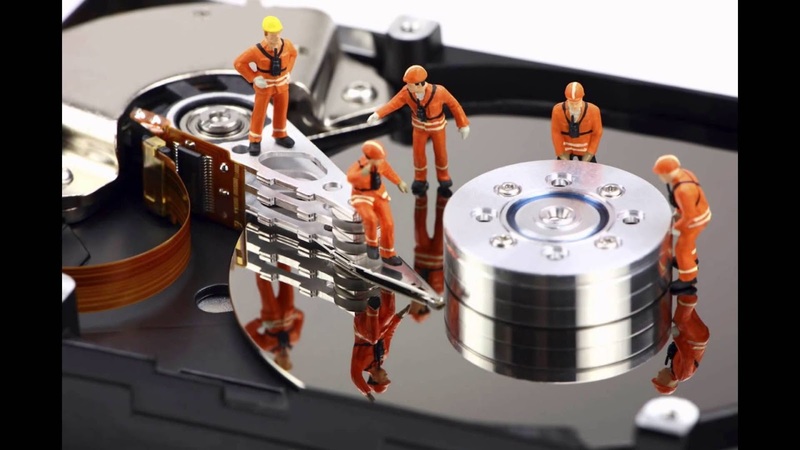 They use the knife crushing technology to continuously cut the hard drive into little pieces. Then, these small pieces of hard disks fall through the screen of the disintegrator. However, this process is slower in nature than the shredding procedure. But, it certainly achieves the purpose of greater security of data and complete destruction of the hard drive. It results in extremely small residue because even a little piece of disk could potentially contain a great quantity of damaging information. Thus, disintegration achieves the ultimate objective of secure data destruction. This is because achieving the highest levels of data wiping is most important while destroying hard drives. 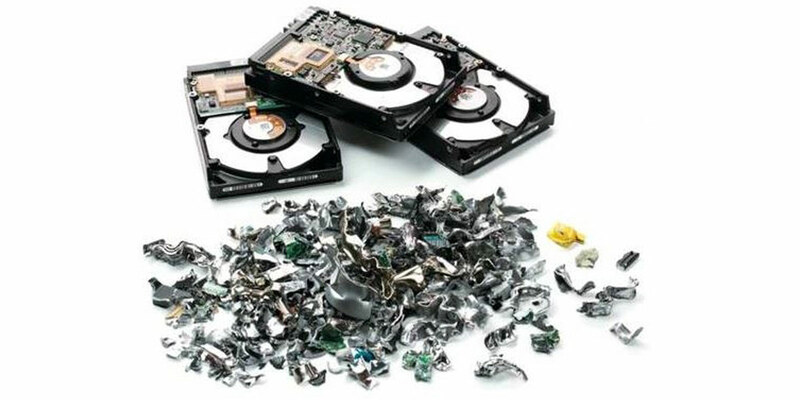 Physical destruction of hard disks serves the purpose of data destruction as well the equipment itself. Although this is not an easy task to achieve as most of the devices are form of hard aluminum units and alloy platters. This is the reason why special types of data destruction tools are produced to achieve this task. Some of the common approaches to fulfil the task of data destruction include hard drive drilling, crushing, piercing and bending. 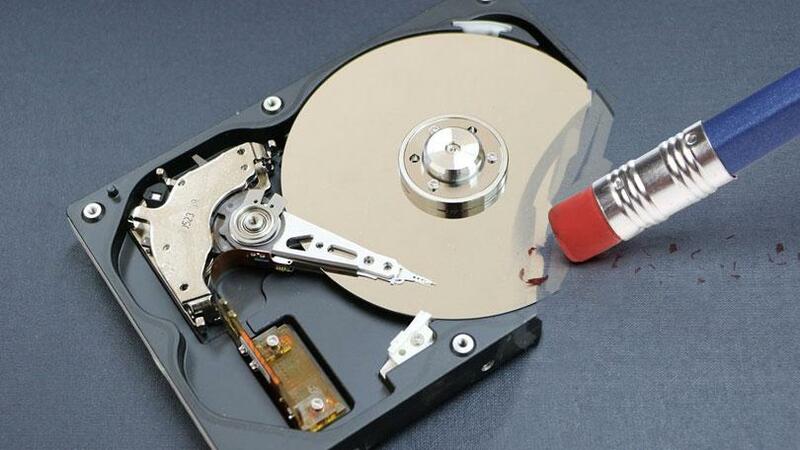 By these methods of puncturing hard drive, platters can get destroyed completely. However, the information stored in them gets destroyed completely because the twisting of platters disturbs the magnetic trail holding data. In this way, we can avoid most common ways of data theft. Hard drive erasing is also considered as one of the most common ways of sanitising information. Be that as it may, it does not guarantee that it always serves the purpose. Simply deleting data does not remove it completely but moves it from one part of a hard disk to another. Therefore, appropriate overwriting of a hard disk must be performed to make data irrecoverable. Secure Erase can come in handy for erasing hard drives completely of information. 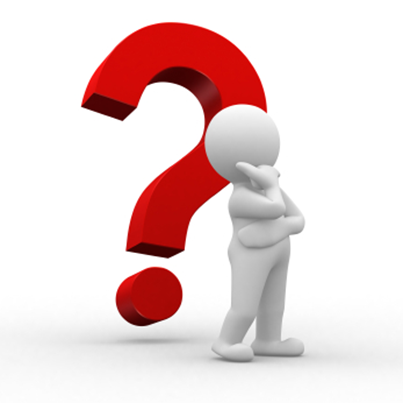 Common software misses most of the information present on damaged parts of the hard drives. Therefore, we recommend the use of Secure Erase as it does not depend on laptop`s BIOS for its proper functioning. It will overwrite all information present on hard disk, even on the bad sectors. It is also a faster way of achieving the target when we compare it to standard overwriting software in industry. In short, choosing the right hard drive disposal service for your business could be a tricky task to realise. Some of them will provide all the facilities as mentioned above and some will do part of them. It is completely up to you whether you go for customised services or avail all of them depending on the requirements of your firm.